Candidates want to know what it feels to work for your organization. What is the culture, what are the career advancement opportunities, what are the reward systems, what are the benefits and perks of working with your organization. Employer Branding has gained a lot of prominence in the last few years. Companies are realising that it is not enough to continue with old recruitment and hiring practices if they were to hire the best talent from the market. Each hire in a critical role is an investment in the organization. Companies want to make sure that there are fewer hiring mistakes and they hire the right candidate who fits the culture of the organization and is a superstar employee. The buzzword for 2018 is Candidate Experience. Candidate experience is as important as Employee Experience. Many times, passive candidates don’t apply to opportunities because of the time-consuming application process. LinkedIn offers an easy apply button and companies Recruitment systems i.e. 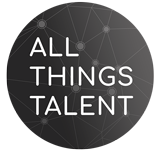 ATS (Applicant Tracking Systems) are integrated with LinkedIn. LinkedIn easy apply is just one example of providing a seamless experience to potential candidates during hiring. Employer branding is the process of promoting a company, or an organization, as the employer of choice to the desired target group, one which a company needs and wants to recruit and retain. Recruiters need to think and act like marketers to attract the best candidates. With the rise of different digital platforms, it is becoming increasingly difficult to choose how to advertise or market your jobs to potential candidates. Candidates research their potential employer on Glassdoor, read reviews, and see ratings as much as companies try to find information about candidates. Candidates want to know what is the culture, what are the career and advancement opportunities, what kind of learning does your company provide, what are the rewards systems, what are the benefits and perks for working with your organization? Also Read: Trial By Fire: Situations Where HR May Get It Wrong & How To Fix That! That is where the importance of employer branding lies. Companies rely on different source mix for diversity in hiring, for example, Career Sites, Employee Referrals, Job Boards, Social Media, sometimes external Recruitment agencies and Vendors. All these are potential options to reinforce your brand messaging which has to be consistent as well as Authentic. Employees’ stories make a really good option for Corporate Storytelling, which showcases the culture of your organisation to the external world. Effective employer branding is the combination of market research, advisory services, communications and marketing to achieve both a credible and desirable brand position. Through talent acquisition and retention, the end purpose of employer branding is to stimulate business growth and achieve strategic business goals. What is your Employer Value Proposition? What percentages of your managers have received training in how to deliver the brand experience? What are the perceptions, employees and candidates carry about your employer brand? What level of visibility do you have of your employees/talent pool? What percentage of your employees would recommend your company as a great place to work? Which companies are leading the way in employer brand strategy? How do we measure the return on investment in employer branding? How will market trends impact on how we attract, engage, and retain talent over the next five years? Who are the employees who are actively engaged with my organisation and act as Talent Ambassadors for my organisation? How do I activate employee advocacy program for my organisation? According to a Survey, Social Media and Career websites are the most prominent channel to showcase your employer Brand to external talent. In a recent 2015 survey, 73% of CEOs reported being concerned about the availability of key skills. Also Read: 'Un'Retirement: The New Trend That's Slowly Taking The Corporate World By Storm! Social Media has forced organisations to become transparent, providing a very clear image of the operations that are being run. This means that Talent Attraction relies far more heavily on Employee Engagement and Employee Advocacy. Engaged Employees serve as the Best Talent ambassadors for your organisation. Evaluate your current employer brand through internal and external research and survey. Have a realistic assessment of your organisation’s current strengths and translate unique traits into Employer Value Proposition. Define your EVP. Be proactive in the use of Social Media for Corporate Digital Storytelling. Generate positive employee stories to build a more authentic and engaging employer brand reputation. Ensure that there is a collaboration between HR and Marketing function and the role they need to play in sustaining a consistent Brand experience. Engage with multiple stakeholders inside the organisation and build employee advocacy program. Leverage Alumni to showcase the culture of your organisation. Engage with the mind, heart and dreams of candidates. Develop and use metrics to assess and track the success of the employer brand. Metrics may include quality of hire, brand awareness, employee satisfaction, employee referrals, offer to acceptance ratio, Best Employer Awards etc. Ruchi Bhatia is an IIM-C Alumnus, Social Brand Practitioner, Recruitment Branding and Campus Branding Lead at IBM. She has over 17 years of professional work experience across Sales, Operations, OD, Corporate Training, HR, Learning Consulting, Workforce Partnering, and as a Professional Development Leader. She is one on the prestigious list of the Top 50 Women to follow in Asia, as Top 10 Sheroes in India and Top 100 HR Influencers in India & Worldwide. She is an Advisory Board Member to DMA Asia and Founder of WowHR & HRGurukul. Is Your Corporate Culture Creating Quitters?